This is not your grandma's brass. The new brass is modern, subtle and luxurious. From as early as the 8th century BC, brass has been used in the manufacture of hardware, musical instruments, machines, decorative objects and home furnishings. From the beginning of the 20th Century, Boyd Lighting has been manufacturing high quality, long-lasting, luxury light fixtures using that same versatile alloy. Brass as we knew it in the 70's and early 80's can still evoke cringe-worthy connotations of interiors filled with "Avocado" and "Sunset Orange" and "Harvest Gold." Today, with a staggering variety of new finish options, brass is making a comeback; it is not your grandma’s brass anymore. 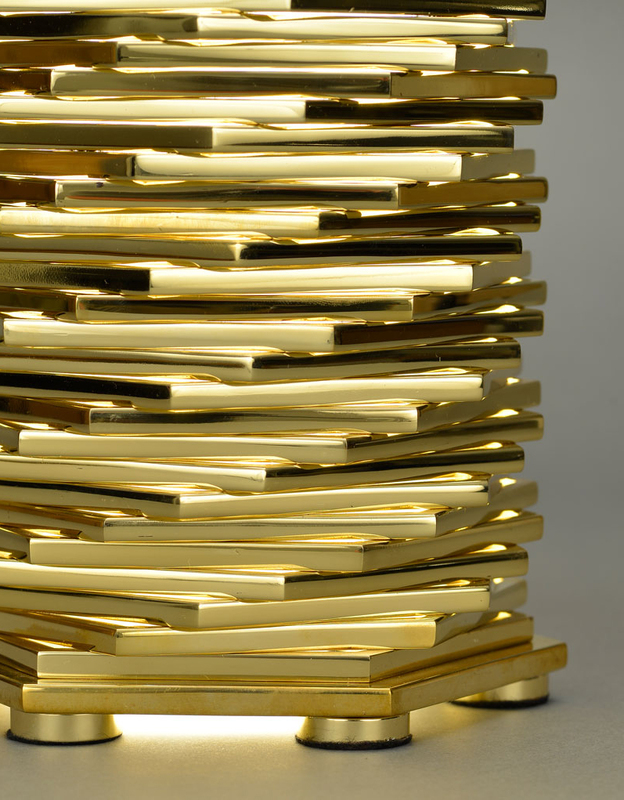 The new brass is less, well, “brassy.” The new brass is modern, subtle and luxurious. 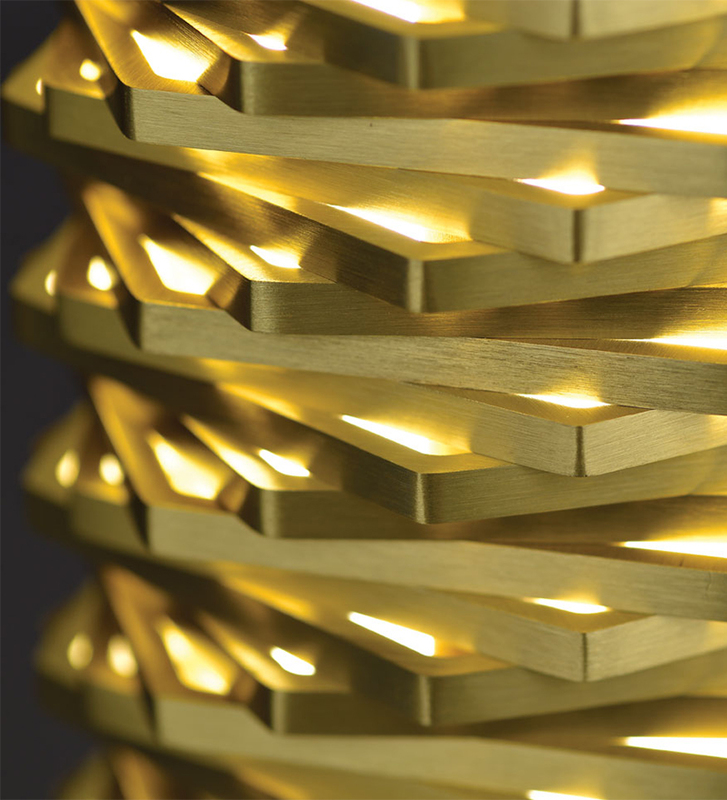 Boyd Lighting, for example, now offers six brass finish options: Polished Brass, Satin Brass, Blackened Brass, Antiqued Boyd Brass, Satin Brass Hammertone and Antiqued Boyd Brass Hammertone. 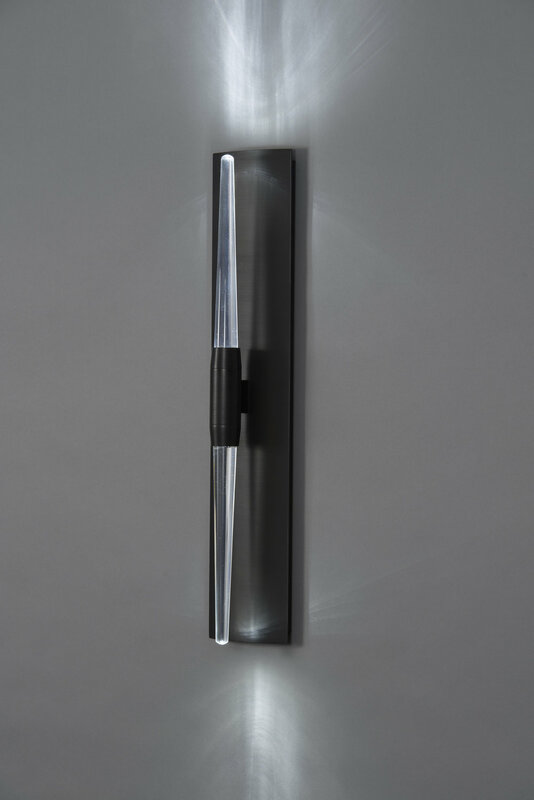 Here the Icicle Wand Sconce is shown in Blackened Brass with both etched and clear glass options. It also comes in Satin Nickel, Antiqued Boyd Brass, Satin Brass and Gossamer Gold. 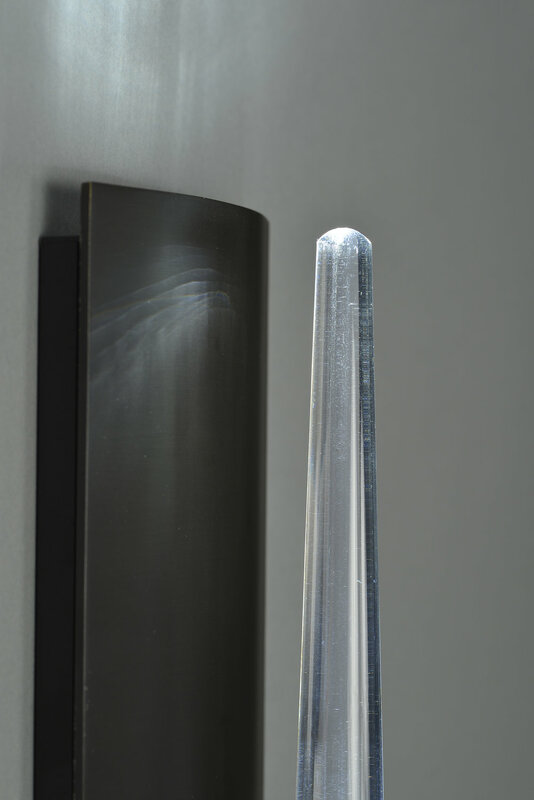 The Icicle Series also includes the Icicle Drop Sconce, Icicle Drop ADA Sconce, Icicle Ellipse, Icicle Disk and Icicle Plane. This bathroom by Laura Lee Clark Interior Design features the Icicle Wand Sconce in Blackened Brass with etched glass. 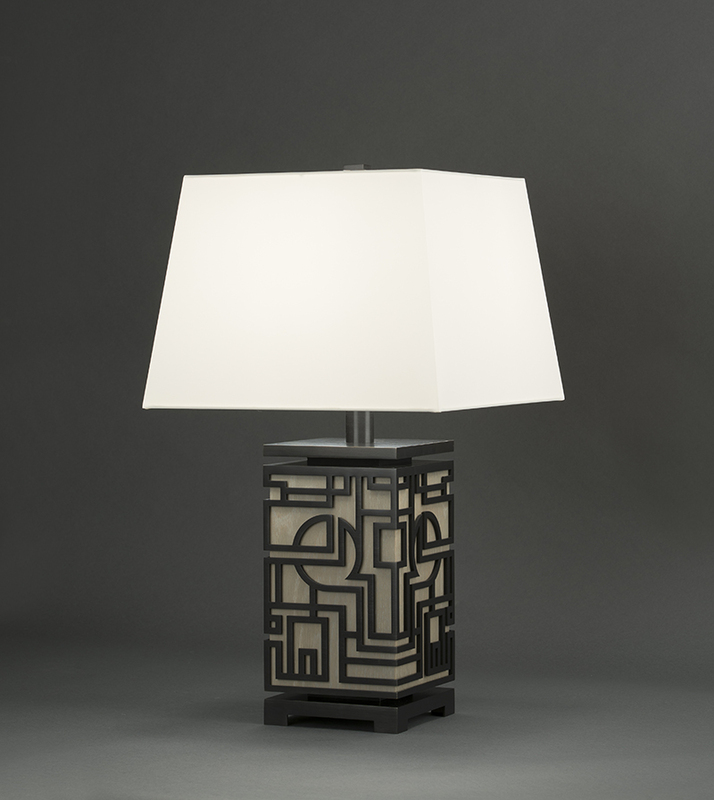 Here the Marlowe Table Lamp is shown Blackened Brass. 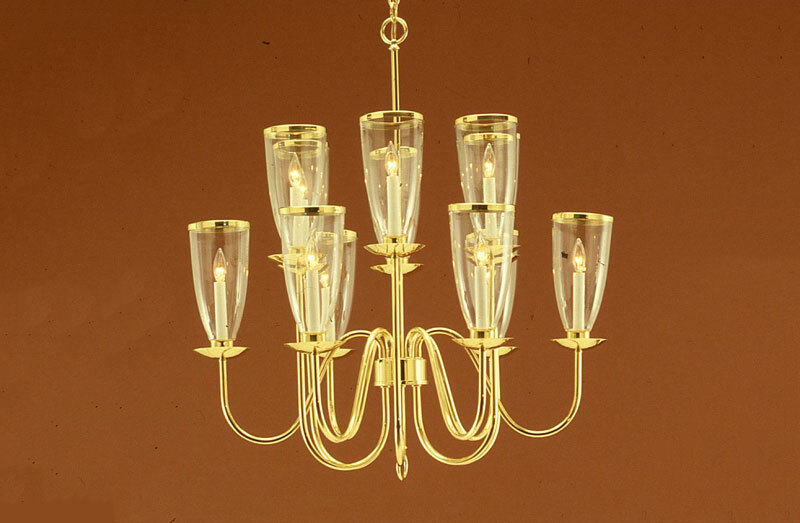 It also comes in Satin Nickel, Antiqued Boyd Brass, Satin Brass and Gossamer Gold. The wood options are Dark Walnut, Cerused Oak and Imperial Red. The shade options are Jet Black with Gold Interior or Warm White Silk. Shown here in Satin Brass, the Topanga Floor Lamp also comes in Blackened Brass, Polished Brass, Antiqued Boyd Brass, Satin Nickel and Polished Nickel. The collar is available in wood or shagreen. Wood options are Grey Cerused Oak, Natural Walnut and Natural Oak. Shagreen options are Sand, Sage Green, Charcoal, Chocolate, and Peony. 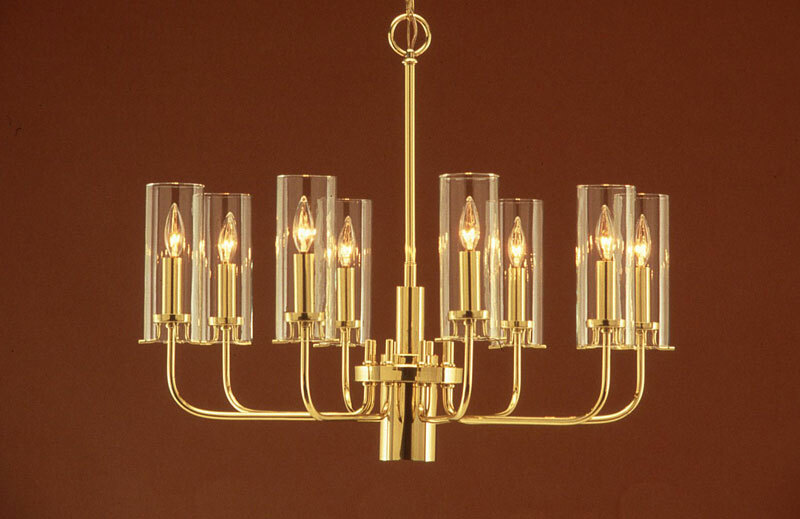 The Topanga Series also includes two styles of sconces, six styles of chandeliers and a table lamp: Topanga I Sconce, Topanga I ADA Sconce, Topanga II Sconce, Topanga II ADA Sconce, Topanga I Chandelier (6 and 8-Arm), Topanga I Chandelier Two-Tier, Topanga II Chandelier (6 and 8-Arm), Topanga II Chandelier Two-Tier and Petite Table Lamp. Shown here in Blackened Brass, Satin Brass and Polished Brass, the Solas Table Lamp also comes in Antiqued Boyd Brass and Gossamer Gold. 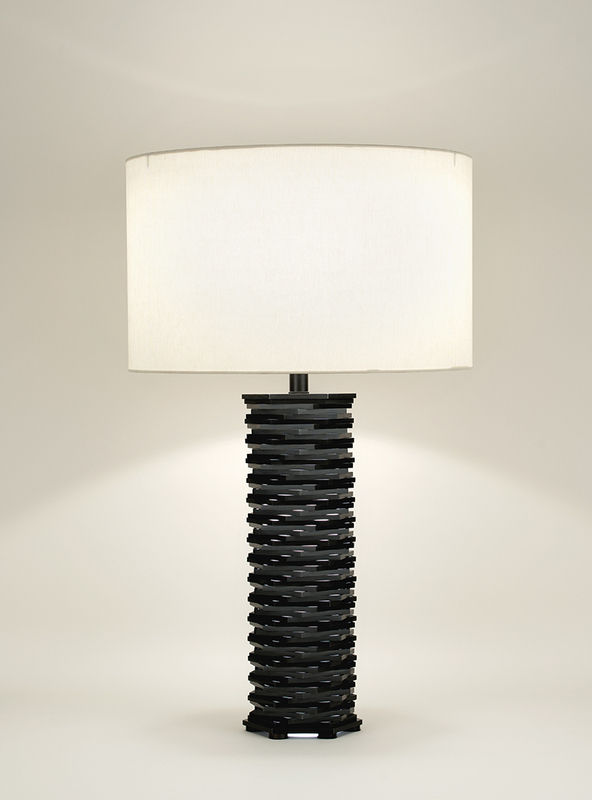 Stunningly beautiful, organic and industrial at the same time, this lamp is a marvel of construction. 65 hexagonal plates twist on axis and allow light to "leak" from the resultant holes in the faceted base. A three-way switch allows you to light just the shade, both the base and the shade or just the base for a twinkly night light effect.